Treat your lips right this winter season with our rich and creamy Beeswax Lipbalm. 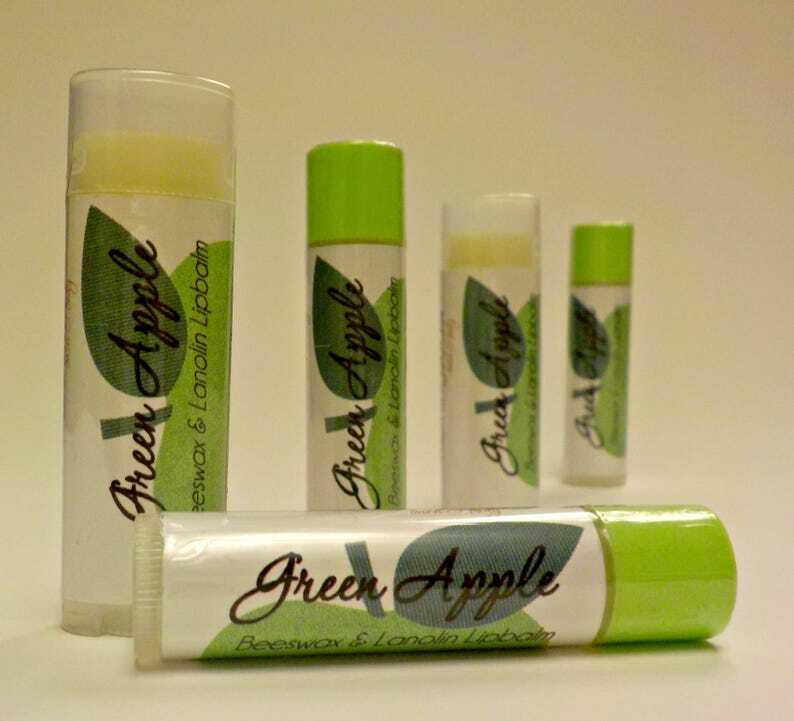 Handmade in small batches with carefully chosen oils and butters, designed to protect your lips and soften your kiss. Our natural lip balm formula provides just the right amount of barrier protection while still feeling light and creamy soft. Our formula is unsweetened, and long-lasting on your lips! GREEN APPLE: Crisp and tart fresh flavor, yum! Ingredients: Coconut Oil, Beeswax, Lanolin, Candelilla Wax, Organic Shea Butter, Organic Cocoa Butter, flavor oil, Vitamin E.
This listing is for (1) .15oz tube, individually wrapped.